But here it is! 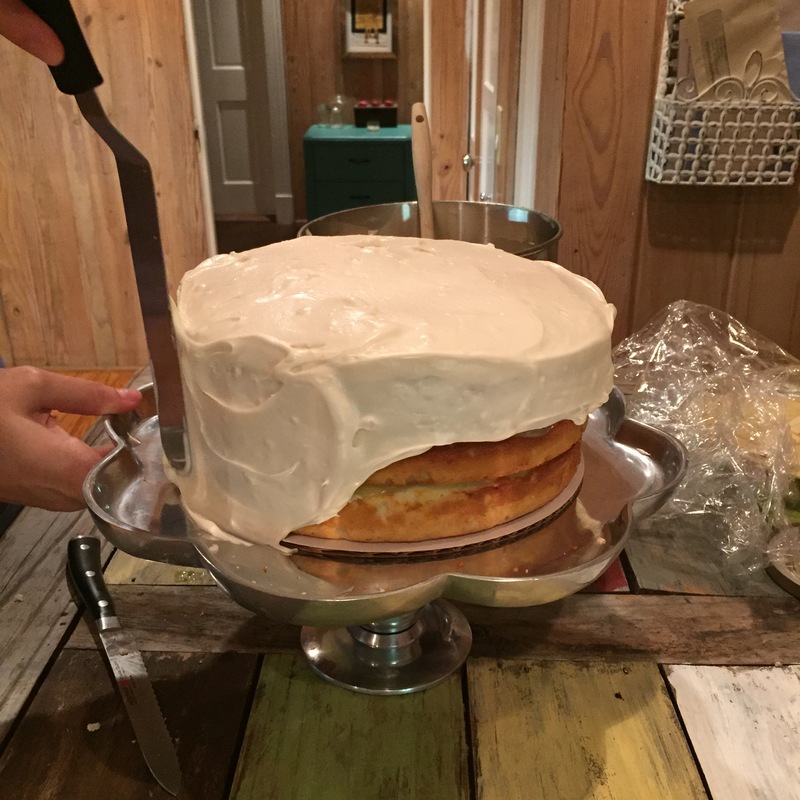 My brother and his dear wife recently moved away from the deep south, and as a parting gift The Lemon Cake recipe was bestowed upon me. Not unlike a wedding or a marriage, this cake is a commitment and an undertaking, but it is 100% worth the effort. 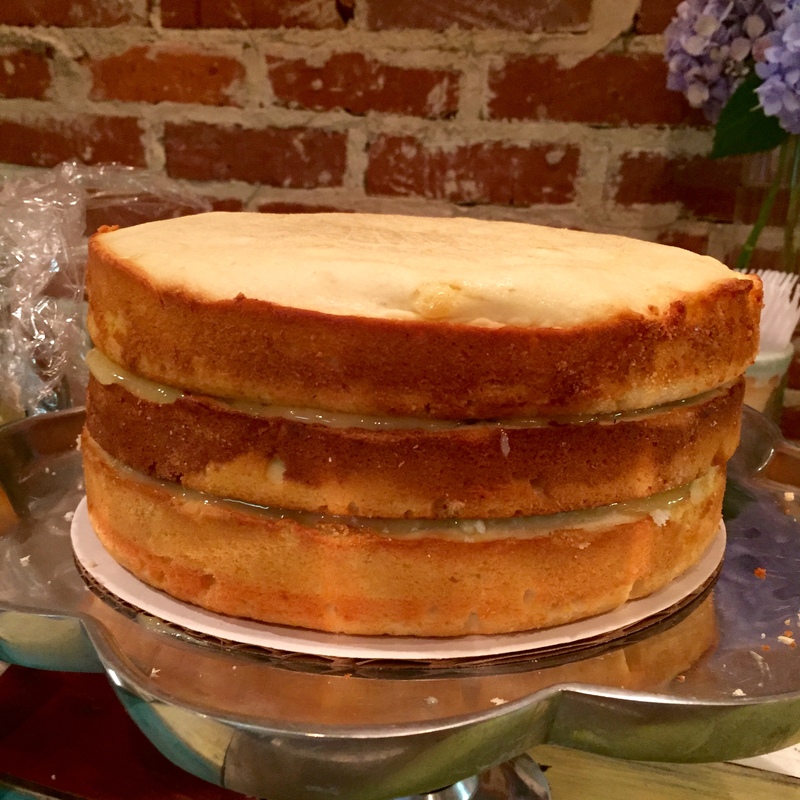 The cake itself is moist but sturdy, without being so delicate that it falls apart. 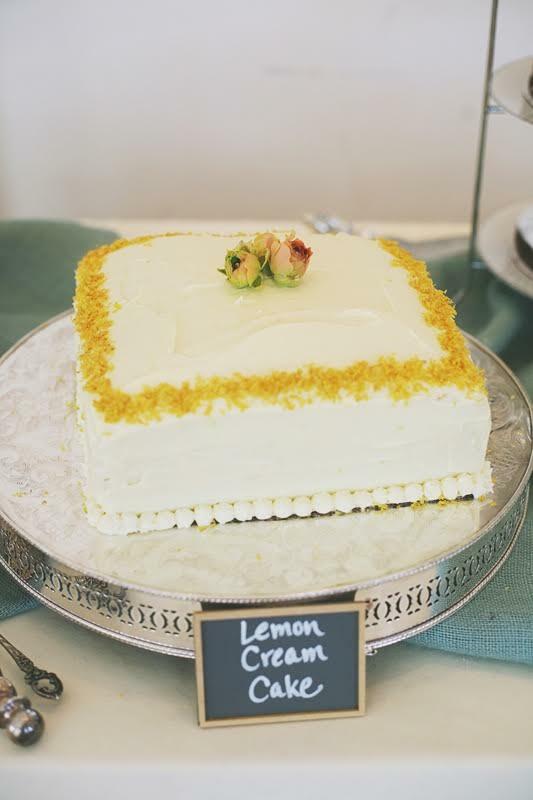 The lemon curd between the layers is a burst of sweet tangy brightness; the creamy icing a perfect finish. 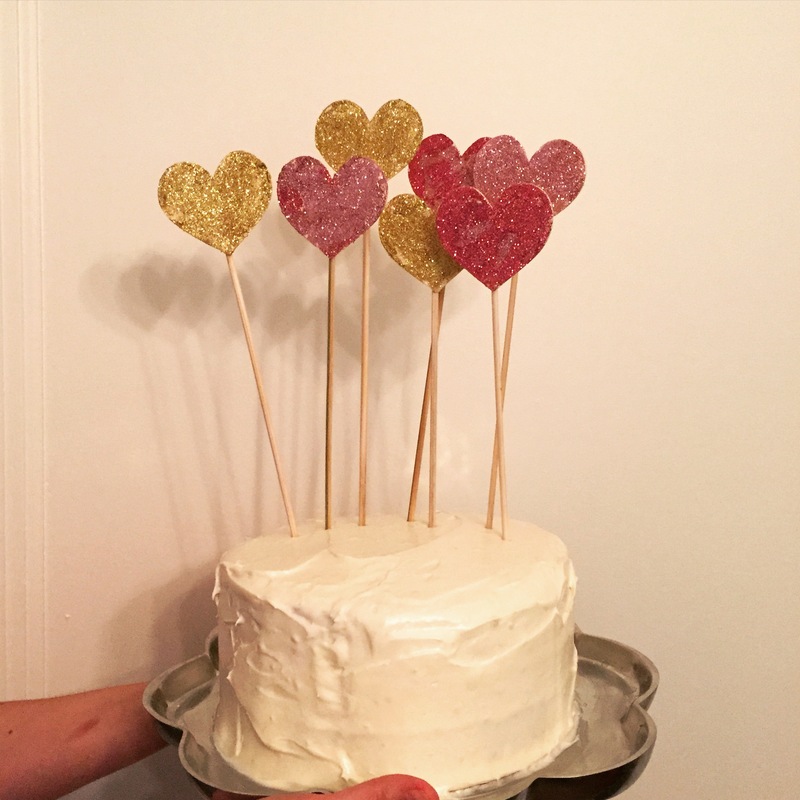 It’s my favorite celebration cake, a delicious reward for the hard work of baking it, a wonderful edible example of how to love someone through baked goods. The key to this creation is lots of fresh lemon juice and zest. From Jennifer’s directions, she used 14 lemons and their zest. I overestimated my lemon needs and ended up buying 20 just to be safe, but only used 8 lemons to get the amount of juice and zest needed. My lemons must have been huge in comparison, you’ve been so advised. 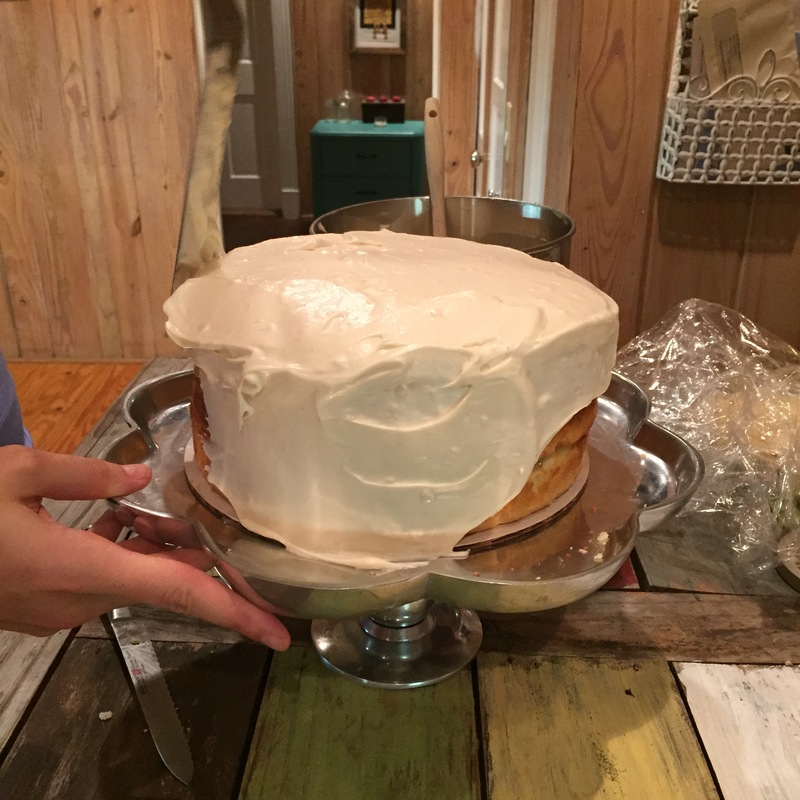 As recorded by my sister-in-law Jennifer, who adapted the cake from Tish Boyle’s The Cake Book. The lemon curd is also a recipe from Jennifer, and the icing she adapted from The Foster’s Market Cookbook by Sara Foster. All of these include notes and tiny adaptations by me. I baked these cakes the night before I needed them, so they would be completely cooled for icing. These cakes also freeze very well, wrapped in 2-3 layers of plastic wrap and then 1-2 layers of foil. Update 9/6/2015: This weekend I made cupcakes with this recipe, and it yielded about 36 cupcakes. Bake them in greased muffin tins filled about 3/4 of the way full (or tins with liners) for 16-20 minutes, but start checking for doneness at 16. There should be just a hint of golden brown on the edges and a toothpick come out clean in the center. I filled the tins half way with batter, added a spoonful of lemon curd, then topped them with batter, for added moisture and a burst of lemon flavor. Preheat oven to 350 degrees. Butter three 9-inch cake pans and line the bottom with parchment. Butter the parchment. Whisk the dry ingredients in a large mixing bowl: flour, baking powder, salt. Whisk in the lemon zest. Break up any zest clumps with your fingers so it is evenly distributed. In the bowl of a stand mixer with a paddle attachment, beat together the butter and sugar on high-speed until very creamy. (I find that this works the best with my butter at room temp. I usually leave it out overnight (gasp!) and still live to tell the tale.) Stop the mixer and scrape down the sides of the bowl, and turn it back on to medium speed. Add the eggs, one at a time, beating continuously until well-blended. In a glass measuring cup, combine the lemon juice and the buttermilk. With the mixer on low-speed, alternate adding the flour mixture and buttermilk-lemon juice, in three or four additions. Mix just until blended. Divide the batter evenly into the prepared pans and bake until a skewer comes out clean when inserted in the center of the cake. 9-inch layers will take about 20-22 minutes. A note here: I have three 9-inch pans, two light stainless steel and one a darker color that is a non-stick pan. The darker pan took about 22 minutes, the lighter pans took closer to 25-26 minutes, so keep that in mind and keep an eye on your cakes toward the 20 minute mark. Let them cool in their pans until they are cool enough to handle, then invert onto baking racks to finish cooling completely. I baked these the night before I needed them. 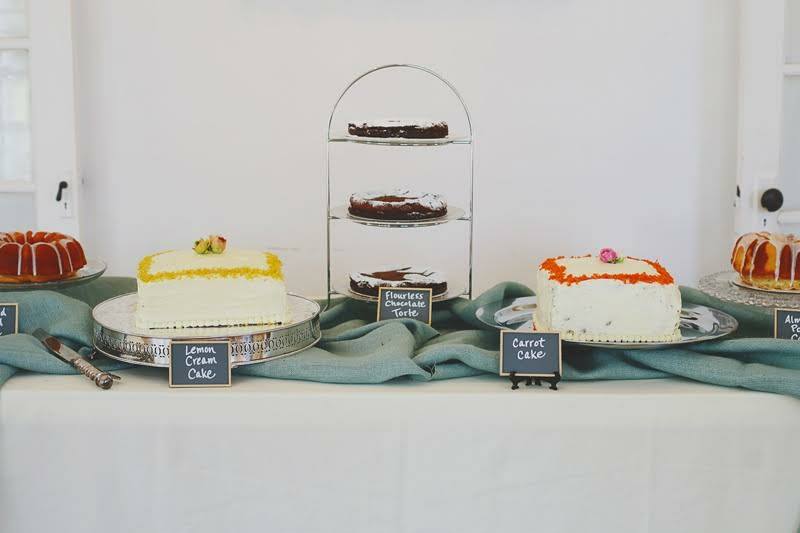 Once they are cooled, spray plastic wrap with non-stick spray, wrap the cakes in it and refrigerate the cakes until needed. Place them in the freezer about 30 minutes before you need to use them. Whisk the first 4 ingredients together in a heavy-bottomed pot. Whisk continuously on medium to medium-low heat. Don’t leave it. Stand there and stir. Grab a book and pull up a stool. If you stop stirring, the eggs will cook and curdle. If the eggs start to cook, take it off the heat and lower it. Whisk really well before returning it to the stove. If you notice little bits of cooked egg, its not the end of the world, as you can always strain it. But if you stir constantly, hopefully you won’t need to. I needed to. The curd will need to thicken, it should coat the back of a spoon. It should be thinner than pudding but thicker than liquid. Once it’s thick enough, take it off the heat and stir in the butter until melted. At this point, if you need to strain it, push it through a fine mesh sieve. Set it aside to cool and try not to eat all of it. Beat the butter and the cream cheese together in the bowl of a stand mixer with the paddle attachment until very smooth. Add the powdered sugar one cup at time, mixing each cup until well-incorporated. Add the lemon curd until it reaches your desired level of lemony goodness. Note: I baked the cakes and made the lemon curd the day before I needed to use them, then made the icing a couple of hours before assembling and icing the cake. This make a lot of icing, and I had a lot left over. You can freeze the leftover icing to save for future cakes/cupcakes. Remove your baked cakes from the fridge. Start with the one that looks the most sturdy/even, and make that your base. Use a long, serrated nice and trim any unevenness off the top of your cake. Place a generous amount of curd on the bottom layer, and then place your second cake on top. Add more curd. Look at your top layer, and if you need to trim the top to make it level, place it cut side down on the curd. 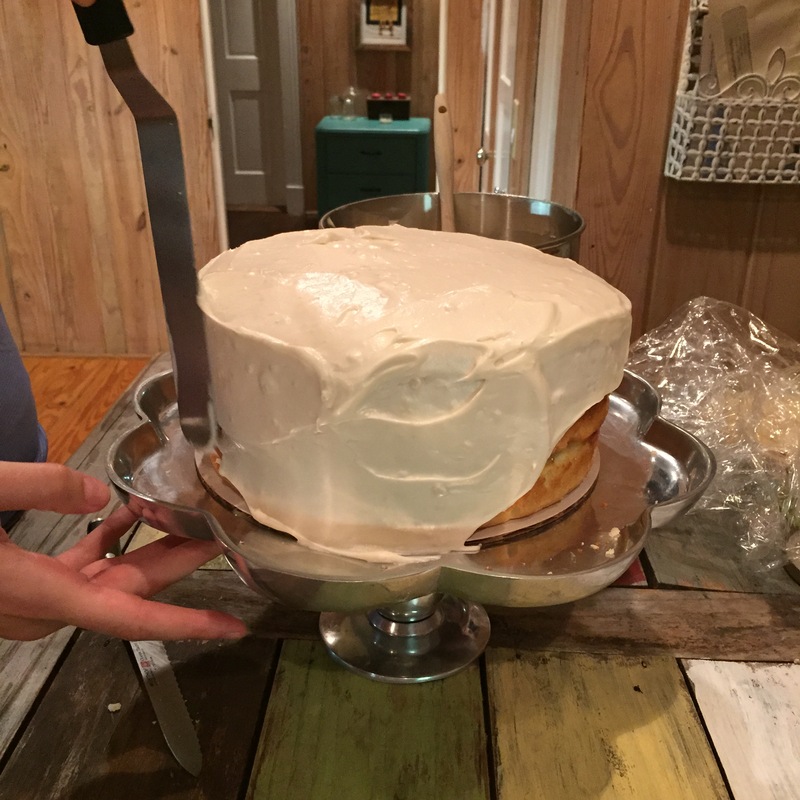 To frost, start with a big dollop of icing in the center of the cake, and work your way down and along the sides. You can serve immediately, or refrigerate until needed. Just make sure you enjoy it fully!